The Lean Six Sigma Green Belt Certification program in Ahmedabad is the second stage in the Lean Six Sigma Masters program. You’ll learn the core principles of Lean Six Sigma, how to implement quality projects and applications, and how to use the Minitab tool for effective statistical analysis. The course is aligned to IASSC exam, integrates lean and DMAIC methodologies using case studies and real-life examples, and will give you the skills to empower your organization for continuous improvement. This course is designed to ensure that you clear Lean Six Sigma Green Belt Certification exam on your first attempt. The training will give you an overview of Six Sigma and organizational goals and show you how to apply the DMAIC (Define, Measure, Analyze, Improve, Control) methodology, measure current performance to identify projects and root causes of issues, generate and implement solutions with real life applications on various industry case studies. The course is aligned with the certification exams of the leading Six Sigma Green Belt certification institutions ASQ and IASSC. What skills will you learn? Lean Six Sigma professionals are in high demand, as they are adept at driving business solutions with problem solving and a basic understanding of business. The Lean Six Sigma Green Belt is vital for organizations that encourage employees to take on quality projects and ensure efficiency in all business and industry processes. What types of jobs require Lean Six Sigma Green Belt certified professionals? What are the career benefits of Lean Six Sigma Green Belt certification? As organizations strive for continuous improvement, they seek professionals that can employ problem-solving and business know-how to enhance internal processes. Lean Six Sigma positions you to take the lead in quality management projects, and interpret data strategically and statistically by deploying process mapping, risk management and benchmarks setting skills. The value of this certification is not confined to large organizations but is widespread across multi-level organizations. What is the average salary for a Quality Manager/Operations Manager in Ahmedabad? As provided by the analysis of PayScale, the average salary of an Operations Manager/Quality Manager in Ahmedabad will be Rs 658,597 per annum. Professionals with the Lean Six Sigma Green Belt certification will have an increased earning potential. What are other types of roles within the Quality Management space available in Ahmedabad? Which companies are hiring Quality Manager/Operations Managers in Ahmedabad? Companies that hire skilled Quality Management experts in Ahmedabad include Honeywell, Capgemini, GE Healthcare, Amazon, and Cisco. How will I become a Lean Six Sigma certified? Candidates can take the Lean Six Sigma Green Belt certification exam conducted by IASSC[SR2] . Visit http://www.iassc.org/six-sigma-certification/green-belt-certification/ to get more details. What are the prerequisites for Lean Six Sigma Green Belt Certification in Ahmedabad? There are no prerequisites to get the Lean Six Sigma Green Belt certification. What do I need to do to unlock my Simplilearn certificate? Complete one project and one simulation test with a minimum score of 60%. Does the course fee include in examination fees as well? The exam fee is not included in the course. What certification will I receive after completing the training? You will be awarded a certificate for professional attainment in Lean Six Sigma Green Belt and a course completion certificate by Simplilearn upon successful completion of this course. How much does Lean Six Sigma Green Belt Certification exam cost? The IASSC Certified Green Belt Exam costs $295. Is this Lean Six Sigma Green Belt Certification course aligned to any accrediting body? Our course is aligned with the certification exams of the leading Six Sigma Green Belt certification institutions ASQ and IASSC. How do I register for the Lean Six Sigma Green Belt application form online? Purchase the exam voucher from https://orders.iassc.org/ProductDetails.asp?ProductCode=ODWB-GBV. Simplilearn’s Lean Six Sigma Green Belt certification training in Ahmedabad program is designed to help you prepare for and pass the exam. How long does it take to receive my certification? Results of the exam will be announced via email within 1-2 days of your exam completion. 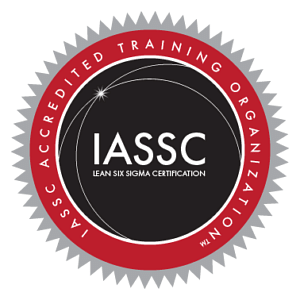 Those who successfully complete the IASSC certification exam will receive their certification from the International Association for Six Sigma Certification™. How many attempts do I have to pass the Lean Six Sigma Green Belt exam? You are not eligible to take the IASSC exams more than once within a two week period or three times in a three month period. Each IASSC exam voucher is meant to be used only once. If you fail the exam, you will have to buy another exam voucher to retake the test. The re-examination fee is $100. Thank you! Loved the practical activity of building a SIPOC to learn the concepts. The experience has been very good so far. No improvements needed. I like the interactive chat and how the instructor responds to questions/feedback in real time. I was introduced to Simplilearn through one of my senior colleague. I had enrolled for Six sigma green belt. The trainer was really helpful and completed the syllabus on time and also provided live examples which made me easy to remember concept's. Because of Six Sigma certification,I got promotion and hike(made me stand out from rest of the candidates). Hope to enroll new courses in future soon. I have taken up 2 course i.e. LEAN Management and Certified Lean Six Sigma Green Belt. The clarity and understanding of the courses were too good. I have cleared both the exams in single attempt as the course was detailed enough. Thank you! It was worth it. Simplilearn is a great platform for the professional courses. Their course contents are really good and easy to understand. They have the best trainers in the education industry. There support team is really good and have a solution to almost every query. I have joined the Lean Six Sigma Green Belt in Simplilearn. It has been a great learning process. The trainer is helpful and teaches with patience. Overall I am happy with my decision. A big thumbs up to Simplilearn. I was introduced to Simplilearn through one of my senior colleagues. I had enrolled for Six Sigma Green Belt certification with Simplilearn. The trainer was really helpful and completed the syllabus on time and also provided live examples which made me easy to remember concepts. Because of Six Sigma certification, I got promotion and hike and helped me to stand out from rest of the candidates. Hope to enroll in new courses in future soon. I had enrolled in Lean Six Sigma Green Belt certification at Simplilearn. It was my first experience of pursuing an online course and undoubtedly, it proved to be a great choice! The learning platform offered is outstanding. Course is fantastic. It's brilliantly crafted and understood excellently via the online instructor. The course material is very systematic, descriptive, and engaging. Training provided excellent understanding of the topics. The trainer goes to microscopic details to make us understand each and everything perfectly. The training was outstanding! The course was very helpful in understanding the real-time application of Lean Six Sigma, which we probably wouldn't have got from the self study course only. Excellent course material. Concepts are well explained with examples. 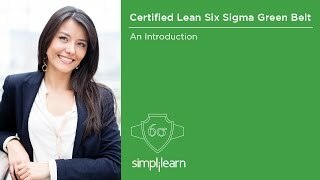 This course is very informative on Lean Six Sigma Process, Tools and Techniques. With any statistical analysis background, this course and related quizzes can be completed within no time. Excellent course material. The trainer was very passionate and the examples chosen was simple and easy to understand. I still find it difficult to forget these examples. Training was very good, and I have learned quiet a lot, the trainer has excellent knowledge and I am glad that I was a part of this training program. Should I have Minitab installed before I begin the course? No, you do not need to have Minitab installed to begin the Green Belt course. Will I get Excel sheet templates if I do not have Minitab installed? Yes. We provide a toolkit along with the course package that includes various tools and Excel sheets used in the context of Lean Six Sigma. Do you offer Minitab training? How is IASSC Body of Knowledge different from ASQ Body of Knowledge? ASQ Body of Knowledge defines areas outside of what the industry considers standard knowledge requirements. These areas include Enterprise Wide Deployment and DFSS, among others. However, the D-M-A-I-C components of the BOKs are almost identical. How is Lean Six Sigma Green Belt (LSSGB) certification different from Certified Six Sigma Green Belt? Certified Six Sigma Green Belt focuses on Six Sigma concepts and is aligned with the ASQ BOK. Lean Six Sigma Green Belt explores the Lean Six Sigma designs and is aligned with the IASSC BOK. Simplilearn offers the Lean Six Sigma Green Belt Certification training in Ahmedabad which consists of 40 hours of instructor-led sessions and 27 hours of e-learning content. The course is ideal for professionals preparing for the Six Sigma exam conducted by IASSC. Do I need a project to complete this training? There is no project requirement to complete this Lean Six Sigma Green Belt training. Will I get the IASSC certificate after completing this LSSGB course? On completing the LSSGB course from Simplilearn, you will receive a course-completion certificate. IASSC certification can be obtained by appearing for the IASSC Certified Lean Six Sigma Green Belt exam and scoring a minimum of 580 out of 750 total points. Who are the trainers for the live classroom training? All our trainers are Green and Black Belt certified with over 10 years of experience in implementing Quality Management. Is the exam fee included in the course cost? The Exam Fee is not included in this course. Do you provide assistance for the exam booking process? Yes, we do help you find the nearest location for your exam. How many questions are in the Lean Six Sigma Green Belt certification exam? Is this live training, or will I watch pre-recorded videos? All of the classes are conducted via live online streaming, run by a Lean Six Sigma certified trainer with over 10 years of work experience. The Six Sigma online training includes interactive sessions that enable you to ask questions and participate in discussions during class time. We do, however, provide recordings of each session you attend for your future reference. Classes are attended by a global audience to enrich your learning experience. What tools do I need to attend the training sessions? Headset, speakers and microphone: You’ll need headphones or speakers to hear instruction clearly, as well as a microphone to talk to others. You can use a headset with a built-in microphone, or separate speakers and microphone. I’d like to learn more about this training program. Who should I contact? Contact us using the form on the right of any page on the Simplilearn website, or select the Live Chat link. Our customer service representatives can provide you with more details. Who are our Faculties and how are they selected? All of our highly qualified trainers are industry experts with at least 10-12 years of relevant teaching experience. Each of them has gone through a rigorous selection process that includes profile screening, technical evaluation, and a training demo before they are certified to train for us. We also ensure that only those trainers with a high alumni rating continue to train for us. What is Global Teaching Assistance? Our teaching assistants are a dedicated team of subject matter experts here to help you get certified in your first attempt. They engage students proactively to ensure the course path is being followed and help you enrich your learning experience, from class onboarding to project mentoring and job assistance. Teaching Assistance is available during business hours. What is covered under the 24/7 Support promise? We offer 24/7 support through email, chat, and calls. We also have a dedicated team that provides on-demand assistance through our community forum. What’s more, you will have lifetime access to the community forum, even after completion of your course with us. Do you provide a money back guarantee? Yes. We do offer a money-back guarantee for many of our training programs. Refer to our Refund Policy and submit refund requests via our Help and Support portal. Refund Process: If you do not pass the exam in the first attempt, Simplilearn will refund the full course price to you. To receive a refund, you must make a request through the Help and Support Online. You must submit a copy of your scorecard along with the date you completed your online classroom training. Simplilearn will refund the course price within 30 days of receiving all required documentation. We will process the refund using the same method you used to pay for the course. Can I cancel my enrollment? Will I get a refund? Refer to our Refund Policy and submit refund requests via our Help and Support portal. How does Simplilearn assure that the material and the training for Lean Six Sigma Green Belt are effective? Our certification training is designed for you to pass the exams on your first attempt. With a hands-on learning approach and Global Learning Framework, the training not only gives you the confidence to pass the exam but also helps you retain knowledge beyond the exam. Simplilearn provides recordings of each class so you can review them as needed before the next session.